A 6am start. The morning was cool and fresh for the walk to Cahors. It would only be 12 kilometres today. There was a path down through the trees to rejoin the Via Podiensis. Shortly after it passed under the A20 autoroute. It was strange to see all the vehicles rushing past as I plodded on at about 4 kilometres an hour. The Way rose through woodland and wound through some small valleys continuing its up and down meanderings before flattening out onto another plateau. It seemed like an endless series of plateaux joined by winding valleys. As it was still early the light was perfect. It was going to be a hot day. 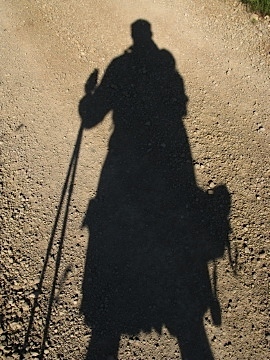 I played with the light and shadow and it reminded me of ‘The Warrior of Light’ that Paulo Coelho mentions in teachings in The Manual of the Warrior of Light. Soon after rounding a bend in the small valley I came across a ‘caselle’. I had seen a few on the Way already but this one was complete and may even have been still in use. These old structures were often built as temporary dwellings or as storage for grain and other food stuffs. 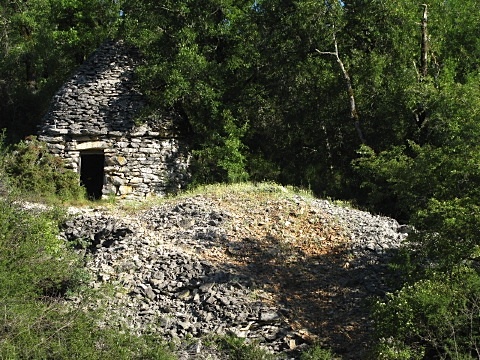 They are made from the limestone boulders found spread across the causses (the stony plateau in the Quercy area). They can be found both north and south of the Lot river in the Midi region. 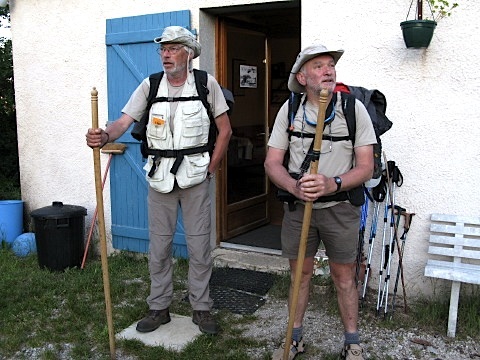 I continued passed the small villages of Flaujac Poujols and Les Pradelles. 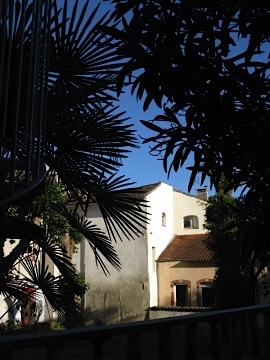 There was a pilgrim hostel at Les Pradelles that is open only in the Summer. The trees thinned and the next few kilometres were across open scrub. 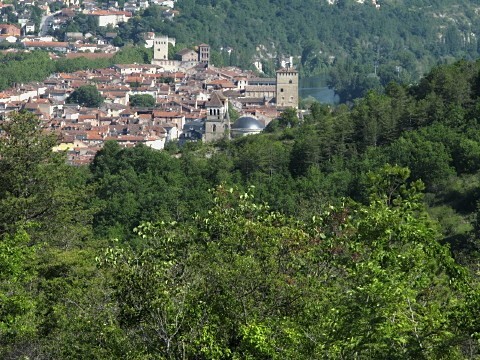 After a few more kilometres I expected to see Cahors and indeed could see the deep valley ahead where it rested. It was some time however before a view of the town appeared. It was already very hot. 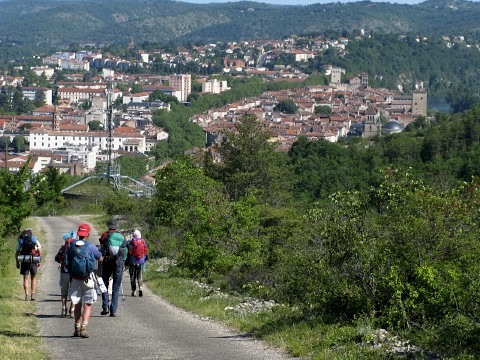 There was then a steep descent to Cahors. Crossing the Pont Louis Philippe bridge on the edge of the town I came across the pilgrim’s welcome. A small room in a former ‘Octroi de Cahors’ or toll booth at the end of the bridge. There were two friendly ladies who provided refreshments of dates and fruit juice free of charge. They also advised on accommodation and other tourist information for pilgrims as well as a stamping the credencial. One lady called a hostel for me and I headed off after she said that there was space at the Relais des Jacobins. When I arrived at the relais the man there assured me that he had never received a call and the Relais would be full for the next few days. There was no space for the night due to a wine festival taking place. Finally I found the Association pour l’Habitat de Jeunes en Quercy. This was an institution that provided cheap accommodation for young people until they could afford somewhere to rent. It had some beds for pilgrims as well. The room was open, clean and spacious with an en suite. It had a great view over the central grassy area and was ideal. Later I headed off for some food and to write my notes about the day in the Miam Miam Dodo. This was the routine each day after settling in, showering and washing the socks. A simple routine that was repeated daily and I looked forward to relaxing and making notes on the days adventure.